2 makuuhuoneen huoneisto UW-kampuksen sydämessä yksityisellä sisäänkäynnillä! Täysin kalustettu 2 vuode, 2 kylpyhuonetta (lattialämmitys), viihtyisä, rauhallinen huoneisto, jossa oma sisäänkäynti ja off-street parking kahdelle autolle maanpinnan tasolla. Suuri tilaa tailgatingille. Askelta Camp Randall -stadionilta ja Field Houselta, Discovery Centeriltä, ​​Union Southiltä ja lyhyen kävelymatkan päässä Kohl Centeristä, Madisonin pyörätieistä, Monroe St.in viehättävistä ravintoloista ja ostosmahdollisuuksista sekä Madisonin järvistä. Vuodepaikkoja 4 mukavasti kaikki mitä tarvitset loman. Yöelämä on 5 minuutin päässä Memorial Unionille tai valtion St. ja Capitol Square -aukiolle. UW-jalkapallopelit ja UW-valmistuminen: Tulee saapua yöksi ennen tapahtumaa, kun katu suljetaan vähintään 5 tuntia ennen tapahtuman alkamisaikaa. Lämmitettävät lattiat sekä kylpyhuoneessa. Jalat rakastavat heitä. The place was perfect for us - we had an event to attend on the UW Campus, so being across the street (literally) put us in easy walking/driving distance to all sites and amenities needed or desired. Clean, cozy (early winter visit), well equipped kitchen (but for salt/pepper - which we were happy to supply!) - and very reasonably priced. It was a real pleasure to stay there - our thanks to the owners for their pleasant, and generous help with our stay. 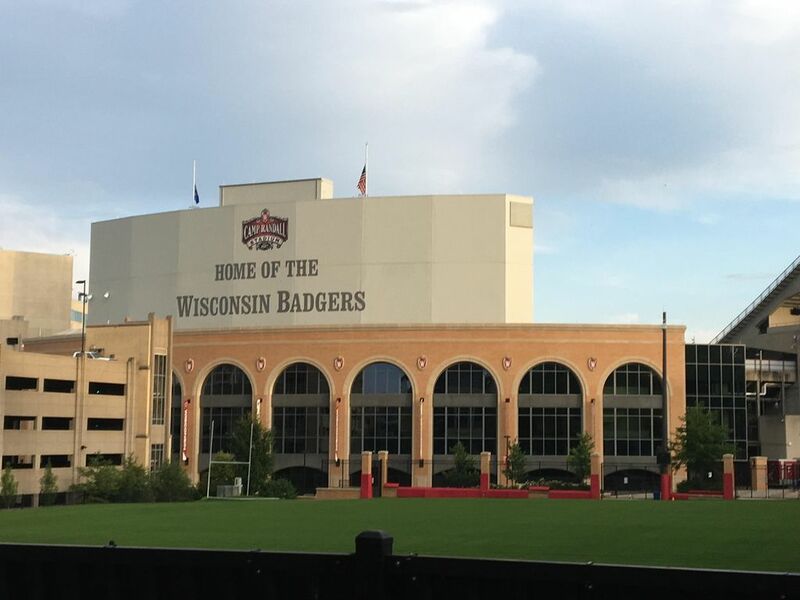 EXCELLENT Place to stay for any Badger Events or anything in Madison! This was one of the cutest hidden secret in Madison! We will definitely be back! My only regret has been I didn't find this 4 years ago when my daughter was a freshman. This place was spotless and just a great location and enough space for a great weekend getaway! Mary was VERY helpful and I appreciated her quick response anytime I messaged! Thanks for the personal touches you guys rock! So quaint. We really liked the property. Clean! Well kept & nicely decorated. The welcome basket was a nice touch. If we are back this way, this is a definite do-over. I took to heart your suggestions and appreciate them. We aim to please! This is my second time to stay in this apartment while visiting my son, a student at UW, and it will continue to be my Madison home as long as it’s available. Located directly across the street from the football stadium, it’s perfect for anyone in town for a game or university function. For me, the treasure here is the owner. She’s a lovely lady who treats her visitors as cherished guests—making herself available with any questions or issues. On top of that, she leaves a care package of delicious treats upon your arrival. One day, she even sent freshly baked chocolate chip cookies down for my son and I to share. I highly recommend the apartment to anyone looking for a cozy home away by the campus. Thank you Mary- your place is wonderful. Great location, apartment and hostess! Very nice 2 bedroom, 2 bath, lower apartment just off University Ave. Everything you could need was available. Mary was very quick to respond to my inquiries. We hope to stay again for our next extended visit to the campus. We will be recommending this property to others visiting Madison. Thank you Mary! !